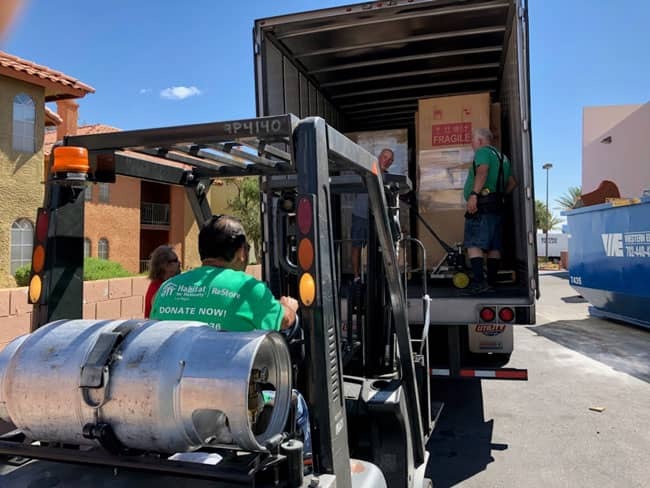 Twin Star Home reports that it recently donated over 160 of their products to two Las Vegas, Nev. non-profit organizations, Habitat for Humanity and Veterans Village. In addition to the Habitat for Humanity contribution, Twin Star Home donated over 90 Duraflame Portable LED Electric Flameless Candle Lanterns with Quartz Infrared Heaters to Veterans Village. The bronze lanterns will aid in the organization’s mission of, ‘creating an environment that is home to United States Veterans’. “Twin Star Home is proud to partner with organizations like Habitat for Humanity Las Vegas and Veterans Village Las Vegas that both work to make a positive influence in their communities,” said Lisa Cody, Twin Star Home Vice President of Marketing. More about Twin Star: Twin Star Home of Delray Beach, FL is an award-winning manufacturer of home furnishings, including electric fireplaces and furniture, many with integrated media solutions. Twin Star Home combines the latest trends with consumer-driven innovation and design-rich style to create lasting products that enhance consumers’ lives. Twin Star Home is recognized for its trusted national brands: ClassicFlame®, Duraflame, Bell’O, Tresanti and ChimneyFree. Find out more at www.twinstarhome.com.